It is not uncommon at all for people to experience some sort of infestation problem in their home at one point or another. Whether it is bugs, rodents, or wildlife of some sort, knowing that there are living things in your home that should not be there can cause a very uneasy feeling. Based off what our past customers have told us, knowing there are mice and rats in your home made be the most unsettling of all. Did you know that nearly 1/3rd of the U.S. population faces issues with mice and rats in their home? If you want to keep from being part of that statistic, we would suggest that you take the proper steps to keep rodents from running rampant in your home. When it comes to mice and rats, their main goal is to find a cozy location in which they can build a nest and still have access to an ample food supply. This often means that rodents set up shop in kitchens or pantries where they don’t have to worry about finding food at a moment’s notice. Once they find the proper place to reside, rodents will begin to reproduce at an extremely fast rate. Did you know that a female mouse can give birth to as many as a dozen mice babies every three weeks?! Additionally, the female mice that are birthed can begin reproducing themselves as early as when they are 4 weeks old. This clearly gives you some idea of how a rodent problem can quickly transform into a rodent infestation. Keeping this in mind, prevention is key. Check out the tips below to ensure you don’t have to deal with an infestation in your home anytime soon. Looking around the outside of your home for cracks or holes is imperative if you want to keep rodents at bay. Be sure to focus a lot of your energy looking around areas that have wires or cables that run from the outside of your home into the inside. Even if a hole or crack is the size of a dime, that is plenty of room for a mouse to enter your home. If you do happen to find a hole, make sure to fill it with something that a rodent cannot chew through. Steel wool or copper mesh are likely going to be your best options. You may not be aware, but this is the most likely place a rodent will enter your home. The foundation of your basement, as well as all of your windows should be double-checked to ensure they are not loose or that the weather stripping hasn’t been compromised. You can avoid this by replacing your weather stripping regularly and checking out windows and doors often for gaps. If there are spots in your home that easily gather moisture need to be monitored and cleaned often. Whether you are dealing with a leaking pipe or a drain that is clogged, rodents are attracted to moisture and therefore these areas should be taken care of frequently. As we mentioned above, any area of your home in which food is kept is extremely appealing to rodents. This means when you are storing things in your pantry or cupboard, you may want to consider buying plastic storage containers and storing things like cereal and pasta in them rather than their original packaging. Another kind of storage you should consider is how you are storing extra belongings in your home. If you have an attic or basement that is filled with cardboard boxes, you may want to rethink this method. Rodents like to reside in dark areas that allow for them to hide and storage areas specifically are one of their very favorite places to reside. Speaking of storage, if you are someone who has quite a bit of stuff in your home that you aren’t using, this clutter is a mouse’s dream. Whether you keep your clutter in the basement, attic, or a spare bedroom, rodents will find it. These little critters like areas like this because they are perfect for building nests in which they can breed. 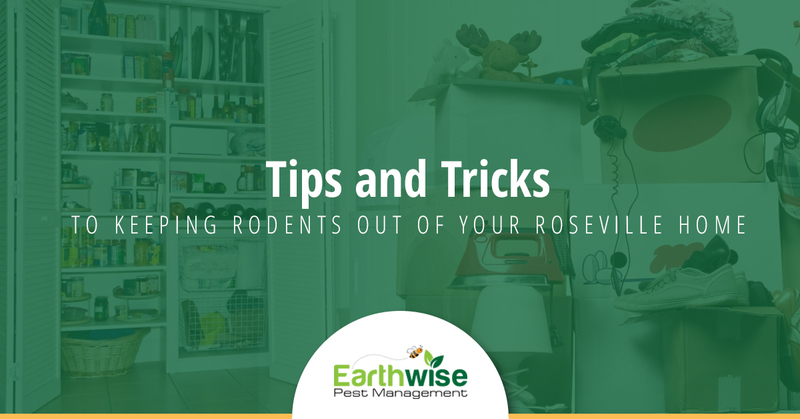 Keeping your home free of clutter is a great way to ensure that you don’t have a rodent outbreak. This advice is a little difficult as we know you want your lawn to look nice and manicured. However, one of the best ways to ensure that rodents will be attracted to your home is to have dense bushes and plants around the front of your house. We’re not telling you to get rid of all of your beautiful and expensive landscaping by any means. However, making sure to properly care for your landscaping is important if you don’t want your yard and eventually your home overrun by rodents. You can also choose to sprinkle cat litter around your house to keep rodents away. Having a home that is clean is one of the best ways to ensure that you won’t have a rodent problem. This means making sure your home is clean, especially in areas where food may be dropped like under the stove, around the fridge or dining room table. Wipe down your countertops after each use and make sure that you don’t leave glasses of water out overnight as these will also attract mice and rats. If you have already discovered you have a rodent problem in your home and you need the help of a professional pest control company, contact Earthwise Pest Management today. We can happily handle your infestation in no time at all. We have been serving the Roseville area long enough to know how to get the job done right the first time. So why call anyone else? We are the most trusted name in extermination in your area and we take great pride in that. Call right now for more information!